Williams’ eight-year stay at Swansea comes to an end. EVERTON HAVE COMPLETED the signing of Wales captain Ashley Williams from Swansea City in a deal believed to be worth €14 million. Ronald Koeman has moved quickly to fill the void left by John Stones’ departure to Manchester City by recruiting one of the most consistent defenders in the Premier League. Williams, who spent eight years at Swansea and played an integral role in their rise to the Premier League, joins the Toffees on a three-year deal. “I’ve had eight great years at Swansea and, for me, the new challenge was something I felt I needed, so I’m delighted to have joined Everton,” he told the club’s website. “Everton is a great club with an unbelievable manager – a world legend in football – and I believe the Club is going in the right direction. This is something I wanted to be a part of. “I look forward to seeing what the manager’s plans are for me and the team. He’s been one of the greatest centre-halves to ever play the game, so I look forward to learning from him and seeing what he can teach me. Swansea accepted Everton’s bid for the 31-year-old yesterday with Williams completing the formalities at the club’s Finch Farm training base today. Williams’ contract at the Liberty Stadium was due to run until 2018 but the player was reportedly keen to push a move through in order to work with former Dutch international Koeman. Great signing for Everton in Ashley Williams for 12m , why didn't Arsenal go for the Welsh skipper , would have been perfect for them ! He becomes Everton’s third signing of the summer following the arrival of Idrissa Gueye and Maarten Stekelenburg. Email “Everton move quickly to replace Stones with addition of Welsh captain Ashley Williams ”. 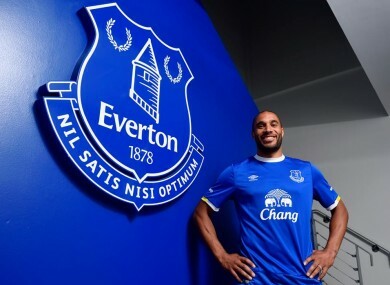 Feedback on “Everton move quickly to replace Stones with addition of Welsh captain Ashley Williams ”.